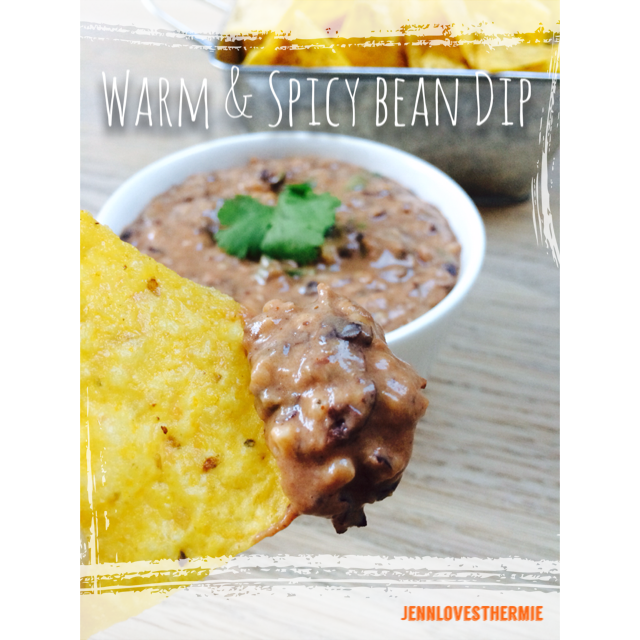 Warm & Spicy Black Bean Dip – Jenn Loves Thermie! Right, so this is by far my most requested recipe! The title is so unassuming and in fact, I think I need to rename it so it get’s the recognition it deserves. Suggestions are welcome. I can guarantee that this dip will get your guests asking you for more. While it’s a great dip recipe, I also use this as a toping for nachos and would even go a far to say that you could use this as a thick sauce for pasta or the like. 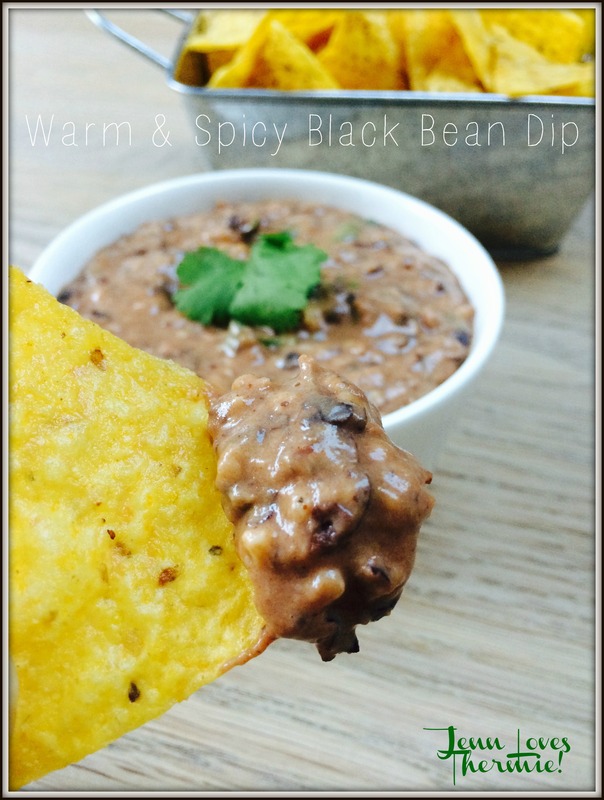 So I’ll stop banging on about how great it is and give you the deats so you too can become famous for your Black Bean Dip!! Drop the garlic onto running blades Speed 8 until minced. Add the onion onto running blades Speed 6 until finely chopped. Spatula down the sides of the TM bowl and add the butter to the onion and garlic and sauté for 3 Mins/Varoma Temp/Reverse/Speed 1. Add the black beans, salt, pepper, cumin and chilli powder to the TM bowl (ensuring spices aren’t piled onto the top of the blades) and cook for 5 Mins/60 Temp/Speed Spoon. Add the salsa, cheese and cream to the TM Bowl and mix for 15 Secs/Speed 1. Blend mixture for 20 Secs/Speed 4 or until desired consistency is reached. Add the coriander to the TM bowl and mix for 10 Secs/Speed 2. 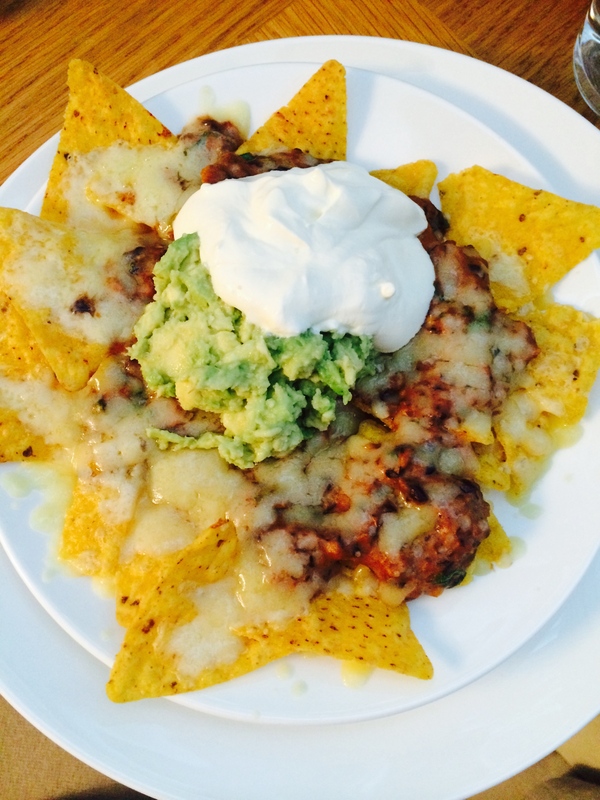 Serve warm with tortilla chips or use as a filling for nachos!